392 in stock Need More ? 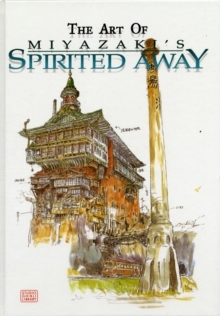 The Art of Spirited Awaycollects colour illustrations of Spirited Awayfor the first time in an English edition. This book includes paintings and designs from the Academy Award winning animated film directed by Hayao Miyazaki. Features commentary, colour stills, sketches, storyboards, and illustrations used to envision the rich fantasy world of the film. Also includes a complete English-language script.